Lots of our parent-guests are worried that their children will become tired of forts and palaces when in Rajasthan. For that reason, we often decide to select two or three of the very best. One you should be sure not to miss, and one the kids will enjoy too, is the mighty Mehrangarh Fort in Jodhpur. Rising sheer out of a 410ft high rock, Mehrangarh is perhaps the most magical of all Rajasthan’s forts, and your children are sure to run away with their imagination whilst exploring its ramparts. The royal apartments within now form part of an outstanding museum, full of interesting memorabilia such as a huge golden throne, traditional costumes, fine miniature paintings and fascinating weapons. The skilfully restored royal chambers will really bring the experience to life for your children and paint a vivid picture of yesteryear in Rajasthan. Older children and brave parents can even fly around the fort on an adrenaline-pumping zip-lining course with Flying Fox. 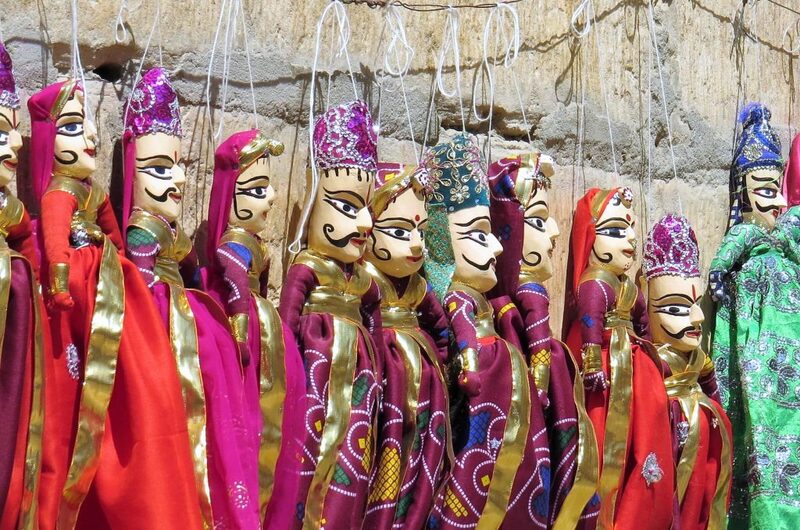 Puppetry has been performed in Rajasthan for over a thousand years. Wooden puppets, known locally as Kathputli, are used to portray folk tales and ballads. Traditionally, puppeteers would travel from village to village entertaining to earn their living. Maharajas were fond of the art, too. Our puppet-making workshop was developed specifically for families travelling with children who’re looking for a more hands-on interpretation of Rajasthani culture. During the workshop, you and your child(ren) would learn basic puppet-playing skills, as well as the art of puppet making – you’d be presented with the raw materials and invited to follow the master as he/she makes one in front of you. The puppets make a lovely memento to carry with you back home. Music and dance in India is synonymous with worship and celebration. Different regions of the country have their own individual dance forms; in Rajasthan, one of those is Kalbelia, native to the Kalbelia tribe. A popular activity for young girls, our private Kalbelia dance class is held at the Desert Museum in Jodhpur, and hosted by experienced performers. If you wish, you can even adorn the Kalbelia’s traditional dress for the class! Bring the Jungle Book to life for you and your children as you travel through the Indian jungle on a private Jeep safari. 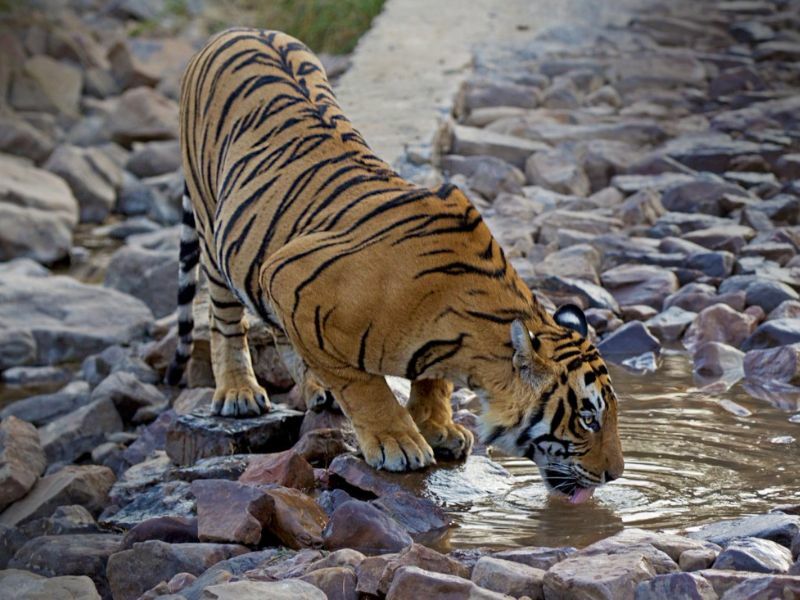 The most famous resident of Ranthambhore National Park is the beautiful Bengal tiger, and sighting one in the wild is an exhilarating experience for children and adults alike. Even if you’re not lucky enough to spot one, what you’re guaranteed to see are numerous peacocks, monkeys, deer and crocodiles – what child wouldn’t be excited about that? Between safaris, climb the 10th century Ranthambhore Fort on a guided tour and feel as though you’re exploring King Louie’s monkey lair! Like Mehrangarh Fort in Jodhpur, Jaipur’s century Amber Fort is not to be missed. Give the children an inspiring dose of Rajasthani history by exploring this splendid 16th century fort and the beautiful rooms within. Each room displays a taste of its former glory, particularly the Sheesh Mahal (Mirror Palace), with sparkling mirrored mosaic work adorning the ceiling. Another highlight is the Ganesh Pol, a pair of huge, elaborately carved and painted gates named after the elephant god, Ganesh. A highlight here for children is the optional elephant ride you can take, from the bottom of the fort up to the courtyard. For those who’d really like to get up close and personal with elephants, we’d recommend Dera Amer, a lovely green space on the outskirts of Jaipur. Here, they take care of elephants, and offer experiences where guests can interact with these magnificent creatures. Upon reaching Dera Amer, you and your child(ren) would first be invited to help feed and bathe your elephant, whilst an expert is on hand to answer anything and everything you’d like to know about them. You would then be shown how to paint your elephant’s trunk with vivid colours (these are vegetable-based and not harmful to the elephants in anyway) in traditional patterns, before heading off through the surrounding forest area for a ride with a mahout during sunset. To end the evening, dinner is served in the courtyard before you’re chauffeured back to the hotel. Those with very young children might prefer to do this in the afternoon over lunch instead. 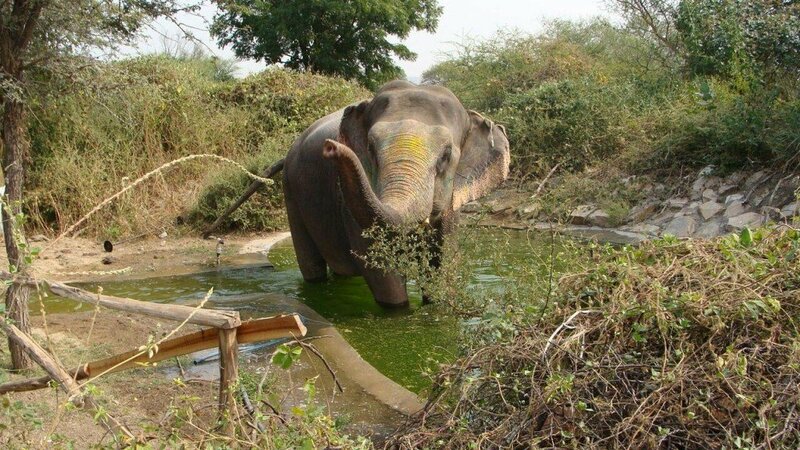 Dera Amer is a particularly enjoyable way to meet elephants as they’re very well cared for. Much-loved by many of our past guests, a night camping on the dunes in the middle of the Thar Desert is an unforgettable experience for children and adults alike. Our favourite desert camp for children is Samsara (two hours from Jodhpur). 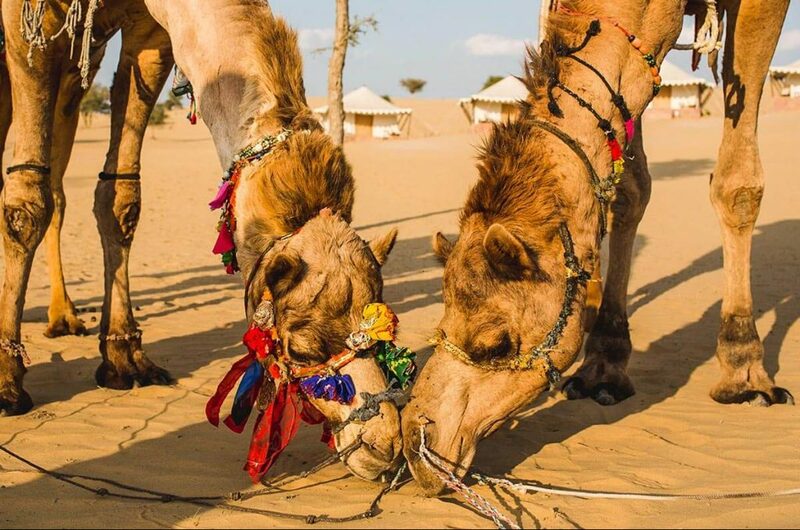 During a stay here at Samsara, families can experience a camel ride through the golden sands, take an exhilarating Jeep safari over the dunes, and enjoy al alfresco barbeque dinner with music and entertainment in the evening. Kids, what’s not to like about that? An amazing part of any foreign holiday is connecting with a new culture. One of the best ways to do that is to interact with local people. In Udaipur, you and your children and enjoy a friendly dinner at a family home, for a warm and authentic insight into the local way of life. Enrich the experience by arriving early for a private cooking class with your host, before sitting down to enjoy the meal you’ve prepared, together. The family have two young children of their own – a girl and a boy – who can discuss their favourite music, school subjects and hobbies with your child(ren). Explore the City of Lakes by boat and offer your child(ren) a new perspective. The kids will enjoy jetting around the shimmering waters, taking in interesting sense such as children playing cricket by the banks, or ladies washing their clothes at the ghats. 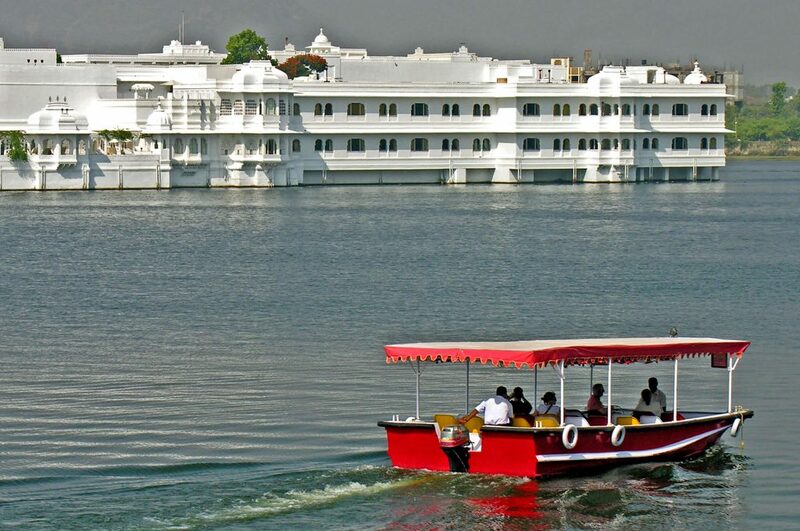 Parents can enjoy a beautiful panoramic view of the City Palace, and the grand Lake Palace which appears to float in the middle of the water. Take a break from the forts and palaces of Rajasthan to visit a local school. For children, seeing what a school looks like on the other side of the world can be very insightful. In comparison to schools in the west, the children here don’t have much, but all have big smiling faces and are incredibly enthusiastic to meet other children from abroad. Bring pens or notebooks with you (from home, or the local market) and the school kids will be bursting with excitement! Rajasthan is best visited from October to April. The Christmas holidays are a very popular time to visit and our favourite hotels book up fast; we’d recommend planning a good six months in advance to avoid disappointment. The Easter holidays can be a fun time to visit if you’d like to take in a festival – the colourful festival of Holi will fall on the 2nd March in 2018, and on this day people playfully drench each other in brightly coloured powders. Like our Family Dinner experience in Udaipur, we can arrange to celebrate Holi authentically with a family. Parents visiting Rajasthan often worry that their children will get fed up of the food, or find it too spicy. The majority of hotels and restaurants in the region offer western and Chinese dishes alongside Indian, and are happy to adjust the spice level to suit your child’s palette. If you find your kids don’t get on with Indian food, or need a break for a day or two, your guide and driver can make recommendations on other places to eat (for familiar flavours, McDonald’s, Pizza Hut, Subway, KFC and Dominos are widely available too). We provide all our guests with a list of our recommended restaurants before travelling to Rajasthan, and can highlight the more family-friendly ones if you ask. From a luxury palace to a modest haveli, Rajasthan offers a plethora of great hotels to suit all tastes and budgets, though family rooms don’t tend to exist in this part of the world. If they do, you are limiting yourself in terms of choice, location and price. 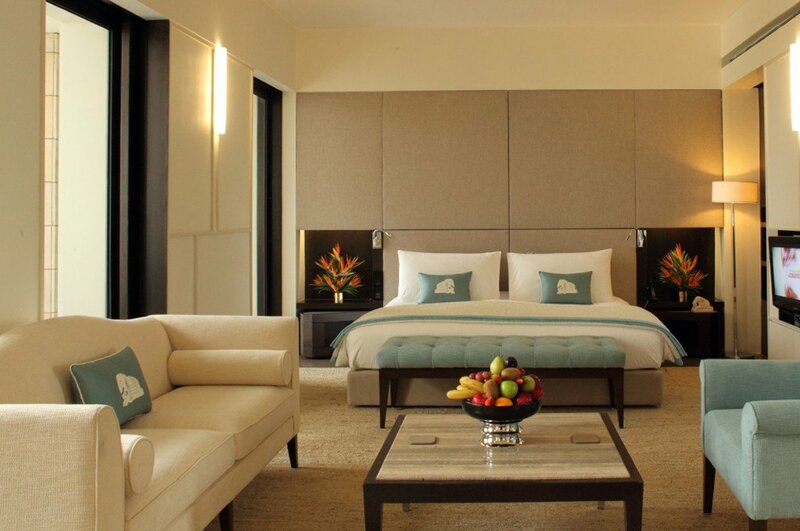 As a solution, almost all hotels are happy to place an extra roll-away bed in the room, or in some cases two beds depending on the size of the room, though any more than this and you’ll need two rooms. Interconnecting sets can be arranged, though where this is not possible (for example in tented accommodation) we’ll ensure you’re next door neighbours. One of the arduous points of exploring Rajasthan is the long road journeys. Drives between cities can often be as long as five or six hours. This can be particularly difficult for children. We’d recommend spacing longer drives out, or breaking them up with a night or two off-the-beaten-track en-route (take a look at our Favourite Hideaways in Rural Rajasthan here, for your inspiration), and do pack diversions such as an iPad full of pre-downloaded films and music, a favourite toy, books and games. If you’d like to begin planning your family holiday to Rajasthan, please do get in touch. We’d love to hear your ideas so far and help you bring those to life. 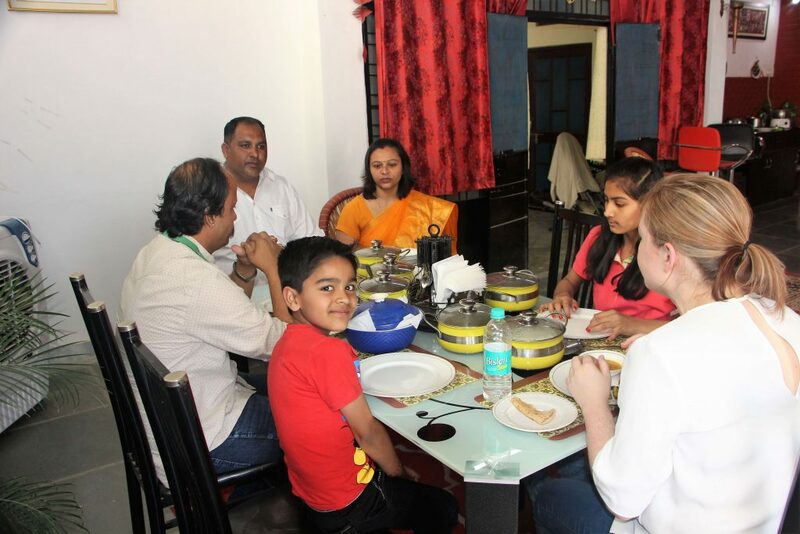 With Indian Excursions, you can expect high-quality service and seamless arrangements, allowing you to forget about logistics and focus on the amazing memories you’re making in India with your children. To get you started, a popular itinerary of ours for families is our Golden Triangle Tour, our Highlights of Rajasthan Tour, or our Classic Rajasthan Tour, though please do remember these are merely a starting point and can be completely transformed to suit your tastes and requirements.